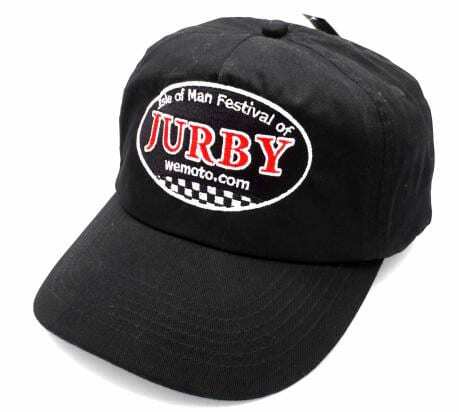 Equip yourself with goodies from the expanding range of 2018 Festival of Jurby merchandise, and help Wemoto raise funds for the Manx Grand Prix Supporters’ Club. 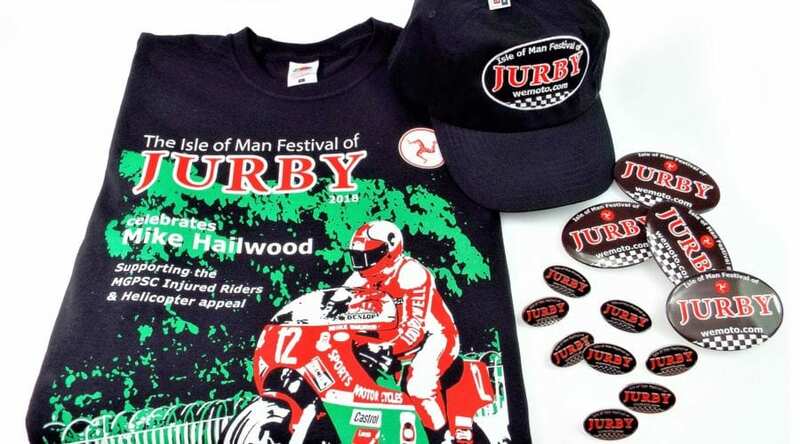 As well this year’s exclusive T-shirt, there’s now a superb selection of other Jurby-themed memorabilia; baseball caps, lapel badges, fridge magnets and posters, with prices that start at just £1. 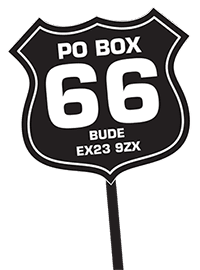 So now anyone can afford to buy some bling and help support the work of the Manx Grand Prix Supporter’s Club. 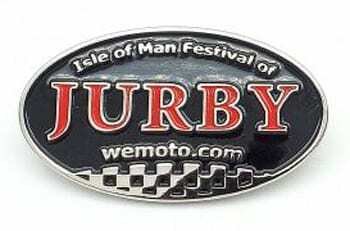 All profits from the sale of the Jurby merchandise go to the MGPSC’s fund for injured riders and air ambulance. The charity also supports injured riders and their families, and donates money to help with medical equipment. Over the past three years, Wemoto has raised over £48,000 for this cause. 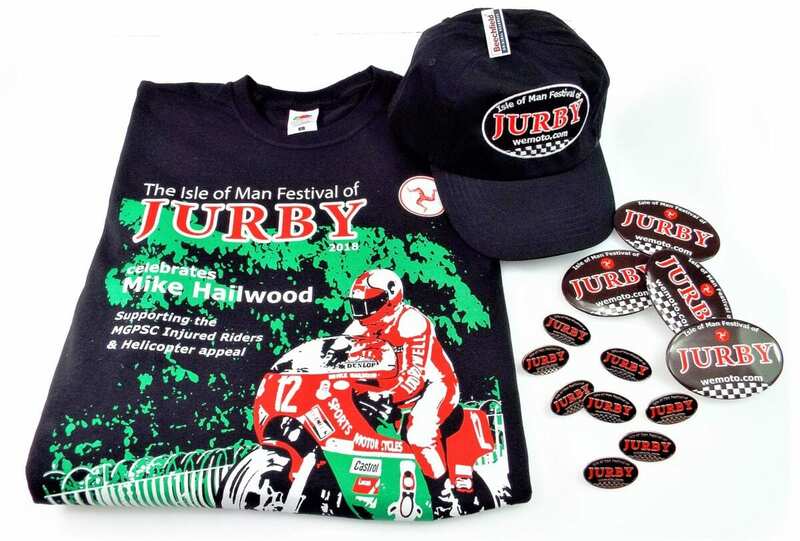 2018 marks the 40th anniversary of Mike Hailwood’s comeback and his amazing win at the Formula 1 TT on the Isle of Man. 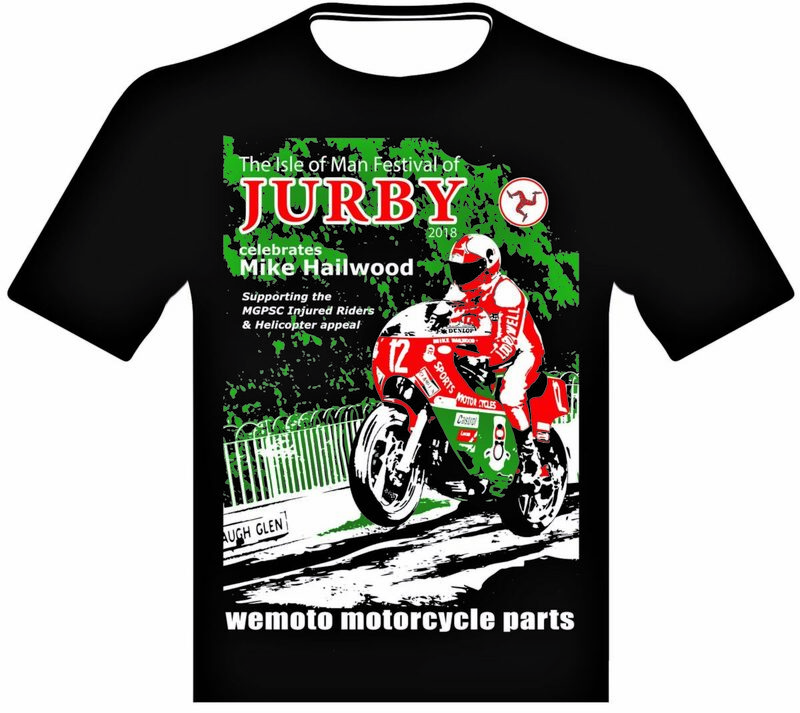 So the 2018 Jurby T-shirt design celebrates his achievement – and it only costs a tenner!